Experience the solution of developing advanced, professional and secure cryptocurrency exchange. Exchange Script is a cryptocurrency exchange development company that pioneers in developing a professional cryptocurrency exchange to facilitate secure and fast transactions. At Exchange Script, you will have collaborated with a team of talented developers who always catch up with the latest blockchain technologies. Over more 20 cryptocurrency exchange, we are confident to bring our customers the best solutions in the fastest way and the most secure. Our team of experienced blockchain developers will build you a customizable and scalable cryptocurrency exchange with a high focus on security. Exchange Script owns the cutting–edge technologies that allow developing the best cryptocurrency exchange. Be a smart investor through cryptocurrency exchange development. Let’s get started! The token ERC20 exchange is a decentralized peer-to-peer exchange that lists just about every Ethereum-based token. It allows trading tokens from ICOs for ETH. The digital asset of users will be stored by smart contract. 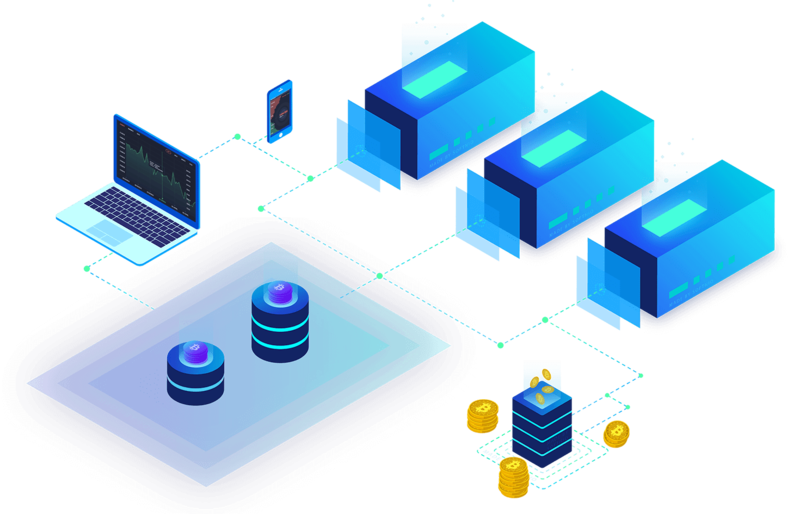 The decentralized exchange operates in a decentralized way without a central authority, allowing peer-to-peer trading of cryptocurrencies. Users do not transfer their assets to the exchange. They can control fully their assets, which reduce the risk of theft from the hacking of exchanges. Our team of experienced developers will build you a customizable with a high focus on security. We can customize exchange according to our customer’s needs, would be saving crucial time and unforeseen costs. The exchange offers features that make it easy for traders to use, facilitating more users. Leverage is the improved buying power that is available to margin account holders. Leverage permits you to pay smaller than full price for a trade, giving you the ability to enter larger positions. User borrows coins to trade in the exchange to make a profit and return to the lender at a predefined rate. Exchange Script allows to follow orders optionally and increase liquidity. Users will get commissions after that trade of the referral has been completed. The matching engine sets 100000 orders per second and supports various types of orders. Multicurrency Wallet allows storing fiat and cryptocurrency with multiple payment and withdrawal methods. Develop exchange on the mobile platform (Android and iOS) to help users trade at any time and anywhere. Users can deposit and withdraw cryptocurrency through Visa/Mastercard, Wire Transfers, and other methods. Any coin can be listed to the exchange with integrated mail service and SMS service. Admin can observe all current functions, including KYC, Tickets issued, Referrals and all transactions. SEO widget allows admin to add focus keywords, which will put on the top on Google search. The cryptocurrency exchange is highly customizable and integrated with any third party software. It is fully scalable and versatile with the user-friendly interface. We provide the distributed exchanges development that avoids the overload if the server is down. Cryptocurrency exchange provides an additional protection through two-factor authentication, avoiding the attacks to gain access to the user’s account. The coin is transferred between seller and buyer through smart contract. Coin or Token can be stored in the wallet to enable safe and secure storage of cryptocurrencies. 2FA is a method of verifying a user's identity by utilizing two different factors, including Private Keys & QR Scanner. Multi-signature wallet provides an additional protection layer for cryptocurrency transaction. Multi-signature wallet requires authentication of all parties involved in the transaction to complete the transaction. The wallet address consists of a public key, based on the algebraic structure of elliptic curves over finite fields. The address will be in the form of an alpha-numeric structure. Encryption of data transmission protects credential and other information. Most secure HTTPS Authentication tokens, such as OAuth. Protecting the cryptocurrency exchange from overwhelming traffic originating from multiple sources. Protection against state-changing requirements and other unwanted actions from the user side. Protection of internal systems from an attack sent from unprotected web applications. The coin is transferred between buyers and sellers using a trusted third party or smart contract. The market order permits users to trade cryptocurrencies at the current price. They can set up a market sell/market buy to protect themselves from going down market.g. Allowing users to trade cryptocurrencies by setting an order. The orders are limited to slippage market. The user can set up a Limit buy or Limit sell. Stop order is a conditional market order, the users can sell order/buy order at a specified price. The users can place Stop Buy/ Stop Sell to protect themselves. Copy order is an order user can get updates on the top crypto-traders and copy their trades. P2P trading is Peer-to-peer trading that allows buyers and sellers to discuss a price before the cryptocurrency is transferred. Only when the buyer and seller agree, the transaction is completed. We will analyze the requirements as well as analyze the market to bring our customer the best solution. Start with the front-end development that should be interactive enough for our customers to use without any difficulty. Our testing team performs various types of testing and performance analysis before making the platform live. 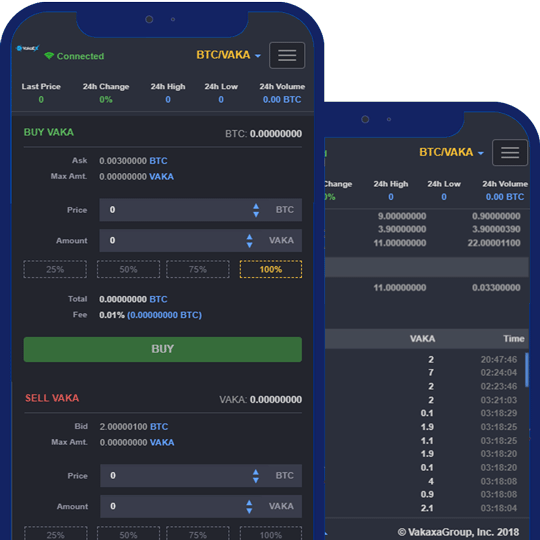 Mobile applications are an integral part of the cryptocurrency exchange. With the application on the IOS and the Android operating system will help customers convenient transactions wherever. With the valuable experience accumulated from more than 20 successful projects, our programmers are well versed in deploying exchange projects with the best security standards. 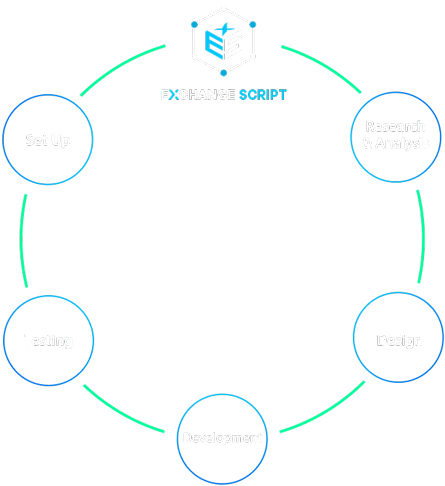 Exchange Script has a talented team of developers, always keep up with the latest technology trends to provide our customers with the best solutions. We are committed to providing our customers with highly customizable development services. Exchange Script is always aiming to maximize the benefits of our customers with superior services, affordable pricing, and security.